Here is an excellent Chrome app for creating photo collages. 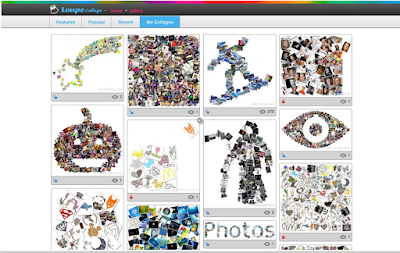 Loupe Collage is a web based tool that is integrated with Google Drive and enables users to easily create beautiful photo collages. Loupe Collage supports a wide variety of shapes. You can turn your photos into hearts, animals, words, logos and many more. 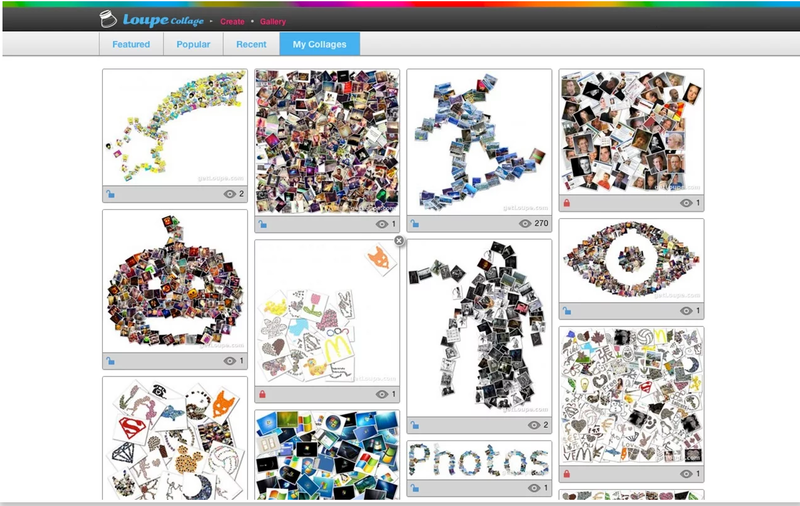 You can even draw your own shapes and add them to your collages. Besides being able to upload photos directly from your local drive, Loupe Collage has recently released a new update which enables users to use photos they have on other websites such as Google Plus, Google Drive, Flickr, Google Image search, Twitter...etc. Collages created by Loupe can be saved to your computer drive or shared with others through Google Drive.